Keeping track of your little one is important when he or she is an infant. The thing is, as a parent, you can’t spend every waking moment with your new son or daughter. So to give yourself peace of mind that your baby is okay, turn to Snuza Baby Monitors. A relatively new brand on the market, Snuza monitors offer an innovative way to keep track of your child. Unlike traditional baby monitors that are designed to be placed near your baby, like on a dresser or shelf near your child, Snuza baby monitors are made to be actually be attached right to your baby. Well, to your baby’s clothing or diaper, not your child him or herself. You see, Snuza devices don’t actually monitor how much noise your little one is making such as whether or not your child is crying or cooing. Instead, these monitors track your baby’s movement. Due to the fact that Snuza Hero monitors track your baby’s movements, they provide parents and caregivers with an extremely innovative way to monitor your child’s activities. However, if you are a traditionalist and still want to monitor your child’s noise level or want to see what your child is doing, don’t worry because Snuza baby monitors also offer both audio and video monitors as well. This is a selection that focuses on your little tyke’s movement, which was briefly mentioned earlier. You place this monitor on your child’s diaper right next to his or her abdomen. Simply put, it tracks whether or not your child is breathing. It can be set to alarm you after 15, 18, or 20 seconds from the last specific movement that the monitor noticed your baby made. It has no wires or cords, is ergonomically correct, is crafted from plastics that are medical grade and hypo-allergenic, and it can be taken anywhere. 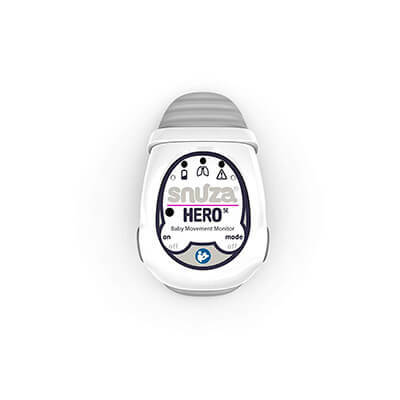 Some Snuza movement monitor models consist of the Snuza Go and the Snuza Hero. Just as the name suggests, the audio monitors made by Snuza track what types of noises your child makes. This type of monitor will have a stationary base that you place near your little one and then a receiver that you can carry with you. The receiver picks up on your child’s whimpers, cooing, crying, laughing, and any other noises he or she could be making. Some of the nice features of Snuza audio monitors is how they have a reception distance of 300m outside and 50m indoors, a parent talk back feature, and even sound level indicators. If you want to specifically see what your child is doing, then a video monitor is the observation tool you’ll want. With this type of monitor, there is a camera unit that has a pan tilt feature, allowing you to see exactly what your child might be doing when you’re not in the room thanks to a large 3.5 inch LCD full-color portable monitor. The technology used in the development of the Snuza video monitors enables extended reception. Plus, the display has a temperature indicator that lets you know if your baby’s room is too hot or cold. Other helpful features of the video baby monitors are the parent talk back feature, voice activated monitoring and its expansion capabilities that allow you to attach up to four additional cameras. If you’re looking for a baby monitoring system that has it all, then Snuza combo monitors are perfect for you. Currently, there are monitors that not only offer you the ability to track your baby’s movement, but also watch what you’re cutie is doing and listen to the sounds they’re making as well. Basically, Snuza combined all the top features of their individual monitor offerings and created a monitor that has it all. Even though Snuza is a rather new baby monitor manufacturer compared to other ones on the market, the company has quickly become a favorite among parents, babysitters, and caregivers. After doing some research online, here is some of the positive and negative feedback offered by people who have used Snuza baby monitors. 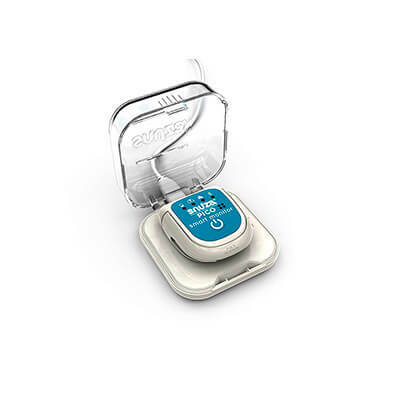 The portable aspect of Snuza monitors was mentioned as a positive time and time again among reviews found on the Internet. Parents really liked how it could be taken anywhere with very little effort. They were easy to use. In order for the movement monitors to work properly, they had to be directly placed on a child’s skin, something that was a little cumbersome to accomplish for some parents. Some parents experienced false alarms with the movement monitors. The battery life on the systems seemed to not be as long as other ones on the market. When it comes down to it, if you’re looking for a quality baby monitor to keep track of your new little bundle of joy, you can’t go wrong by purchasing one made by Snuza. Innovative, well-built, and easy to use, one would definitely be an intelligent buy. Get one today so you can have a peace of mind when monitoring your baby’s activities.